Last weekend Dedra and I had the opportunity to go to Houston for some time of bible study, worship, scripture memory and girl time. 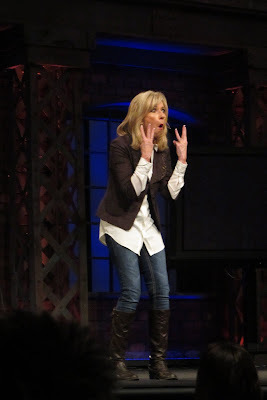 Living Proof Ministries (aka Beth Moore) challenged blog followers to memorize scripture throughout the year of 2011. Those that participated are called the Siesta Scripture Memory Team. On the 1st and 15th of each month we posted a verse on the blog that we were going to memorize over the next two-or-so weeks. We also kept the verses in a little SSMT notebook so that we could carry them, and meditate on them, through the year. It was an awesome weekend. The event was at Houston's First Baptist Church on friday night and saturday morning. We flew out of Huntsville at o-dark-thirty friday morning...but it was worth it since we could spend most of the day in Houston. The first stop once we dropped off our luggage at the hotel was Berryhill's fish tacos. I got to take advantage of the fact that Dedra is from Houston and knew exactly where to go to get great food! It was awesome to get to worship with Travis and hear from Beth in a smaller venue than a huge arena. I am not sure what the final head count was for the event...but I think it was less than 1,000. I also got to meet, eat and worship with at ton of amazing women from all over the country. 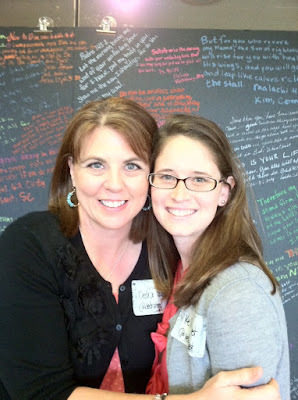 In front of the scripture wall. My favorite photo from the weekend! We ate at so many yummy places while we were there. One of the last stops we made before we left was this cute little cupcake place called "Crave." OMGoodness it was amazing. 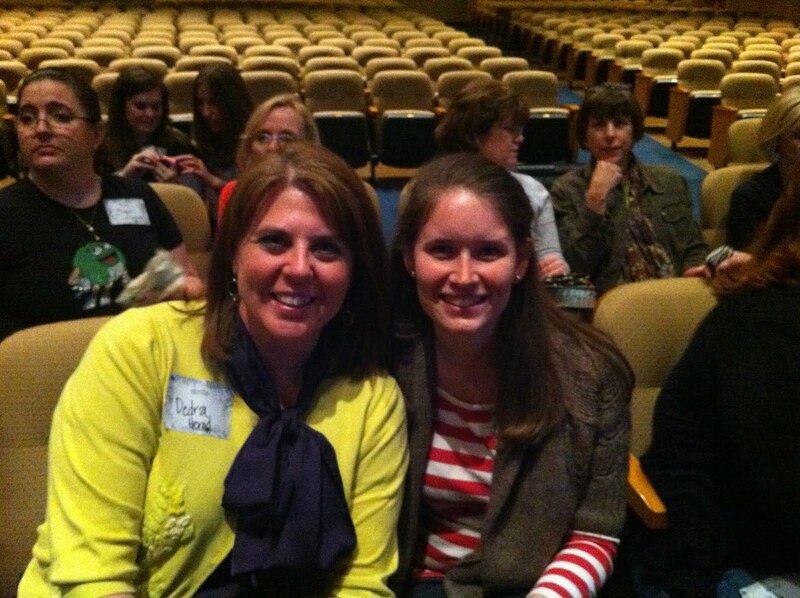 I am so infinitely grateful to have been able to be at SSMTC. It was a much needed weekend of worship, refreshment, and time in the Word. I pray that the verses I have learned and the words that I heard over the celebration weekend will stay on my heart throughout 2012.